A view of a radioactive sign near a shelter and containment area at Chernobyl's old nuclear power plant on August 25, 2013. Ukraine and Japan on Monday agreed to launch a joint satellite project to track the state of crippled Chernobyl and Fukushima nuclear plants, sites of the world's greatest nuclear disasters. Ukraine and Japan on Monday agreed to launch a joint satellite project to track the state of crippled Chernobyl and Fukushima nuclear plants, sites of the world's greatest nuclear disasters. 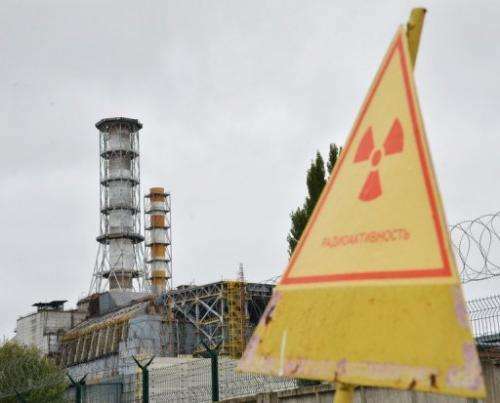 "We have agreed on cooperation in the space sector to monitor the regions surrounding Chernobyl and Fukushima," Japan's Foreign Minister Fumio Kishida told reporters after talks with his Ukrainian counterpart Leonid Kozhara. The project aims to put into orbit by 2014 eight miniature satellites to gather information on the effects of radioactive fallout on the areas adjacent to the plants. According to the Japanese foreign ministry, it will be a joint project of Tokyo University and the Ukrainian state space agency with launches of Japanese-developed satellites by Ukrainian carrier rockets. 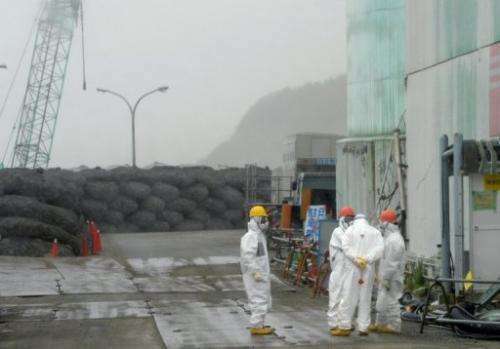 In March 2011, an earthquake and tsunami caused meltdowns at the Fukushima nuclear plant in northeast Japan. Cleanup after the disaster is expected to take around four decades. While no one is officially recorded as having died as a direct result of the meltdown at the reactors, large areas around the plant had to be evacuated, with tens of thousands of people still unable to return. Satellites in the joint programme are expected to weigh about 60 kilogrammes (132 pounds) and span 50 centimetres (20 inches) in diametre, the Japanese delegation confirmed Monday. They will take satellite images every two hours from an altitude of about 600 kilometres (372 miles). They will also receive signals from sensors installed on the ground to collect information from areas where radiation levels exceed the norm. On Sunday Kishida visited Chernobyl, the site of the 1986 tragedy, as part of his trip to Ukraine to compare notes on relief efforts following Japan's own disaster at Fukushima. "Yesterday at the Chernobyl nuclear power plant I was impressed with the fact that even after 27 years since the accident Ukraine still continues to struggle with the consequences of the disaster," Japan's minister told journalists, as translated into Ukrainian. The explosion at reactor number four of the Chernobyl power plant in the early hours of April 26, 1986 sent radioactive fallout into the atmosphere that spread from the Soviet Union across Europe. According to official Ukrainian figures, more than 25,000 of the cleanup workers from then-Soviet Ukraine, Russia and Belarus have died since the disaster. The two catastrophes are the world's only nuclear disasters to have been categorised as level seven on the United Nations' seven-point International Nuclear Event Scale (INES).